If you are a travel enthusiast or just an explorer, you would unquestionably know the importance of the temporary dwelling places or hotels. 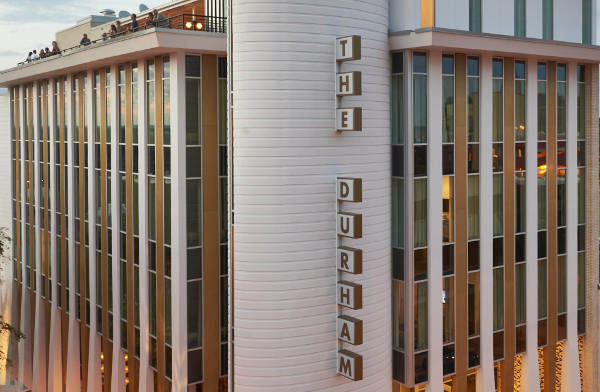 Whether built in a simple corporate stencil format or influenced with the right touch of history and surrounding, each hotel with both its exterior and interior reflects a meaning and gives the resident/traveller/guest the optimum fusion of design and comfort. 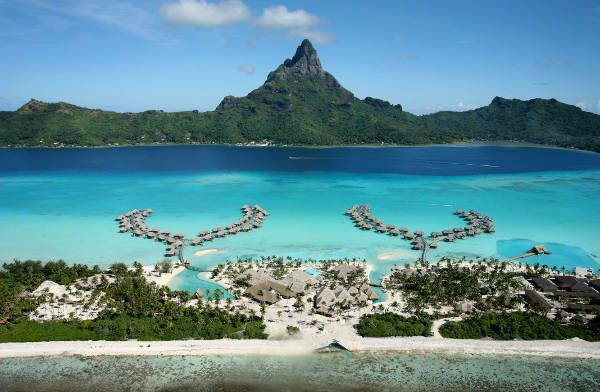 If you have ever wondered about the best-designed hotels of the world, we have today created a consolidated list that will surely inspire you to take the long awaited trip. 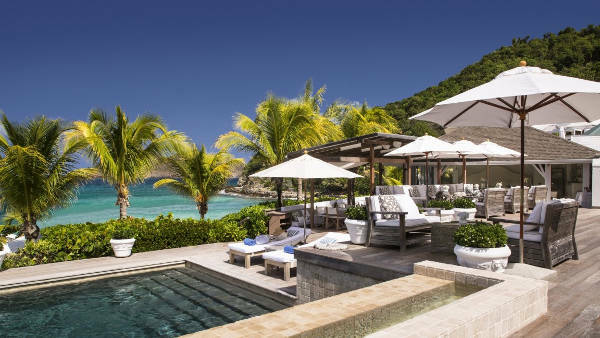 Cheval Blanc, a luxury hotel of the LVMH group is located on the Caribbean island of St. Barts. 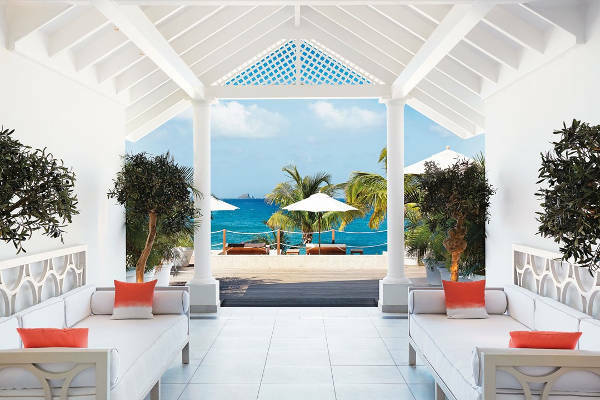 After successful launches in Courchevel, France, and the Maldives, the 40-room Cheval Blanc St-Barth Isle de France features sun-kissed palette complemented with beautiful tropical accents. 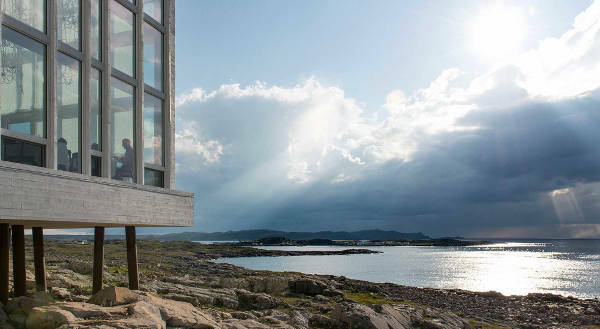 The interiors of the hotel have been designed with comfortable modern furniture, French linens, pleasing illustrations, and sculpted driftwood. 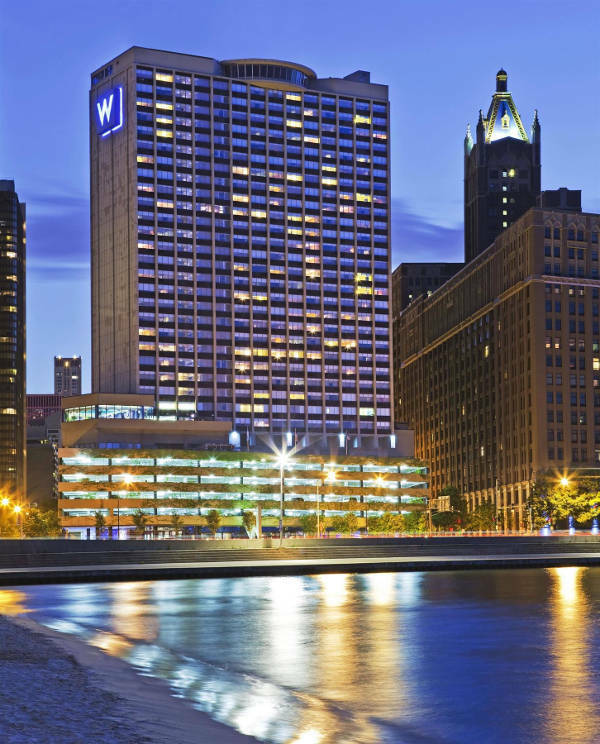 W Lakeshore which opened in June 2014 in Chicago features the unique architectural heritage that is beautifully balanced with smooth geometric lines and stimulant patterns. 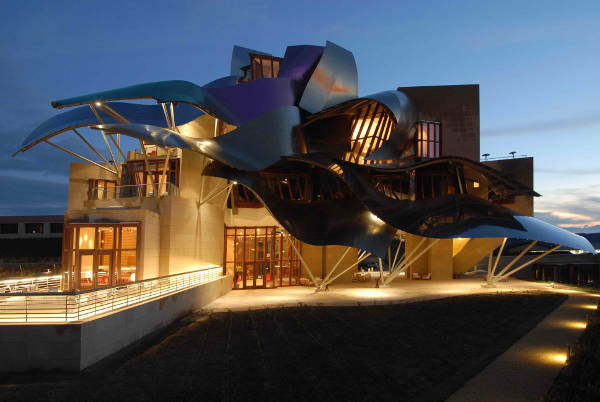 The hotel was designed by the New York–based design firm Meyer Davis with a staggering budget of $38 million. 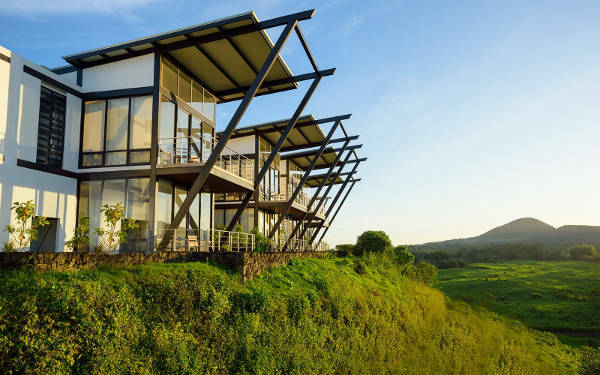 Located on the island of Santa Cruz in the Galápagos, this 14-room carbon-neutral Pikaia Lodge stands adjacent to the giant tortoise reserve. 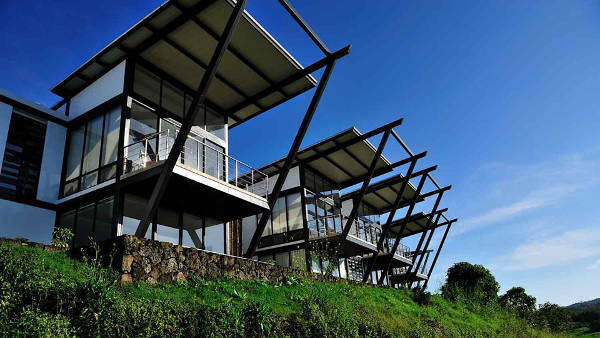 Made expertly with steel, glass and stone, the hotel offers a beautiful alternative to the regular boat bound tours of the Ecuadorian ecosystem. 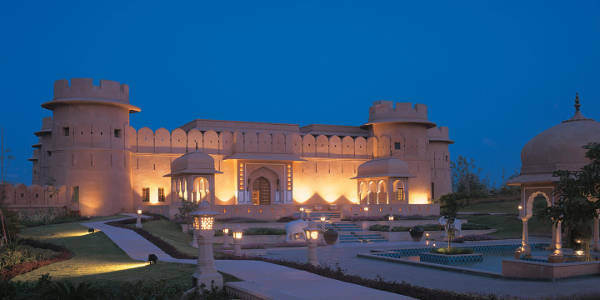 The Rajvilas is built on the ground of an 18-century Shiva temple and it showcases the classic pink plaster walls that are famous around the pink city (Jaipur). 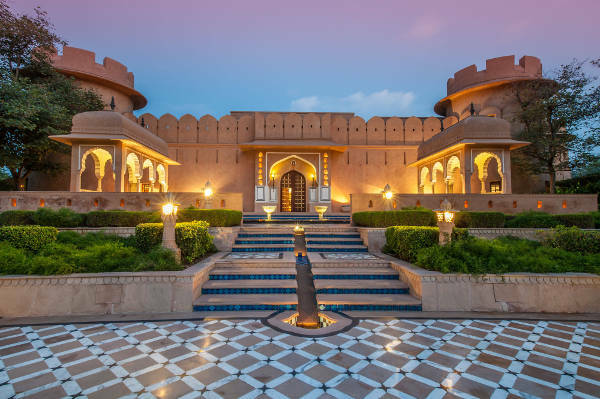 The Mughal arches and abundance of chandeliers ensure a history filled stay. 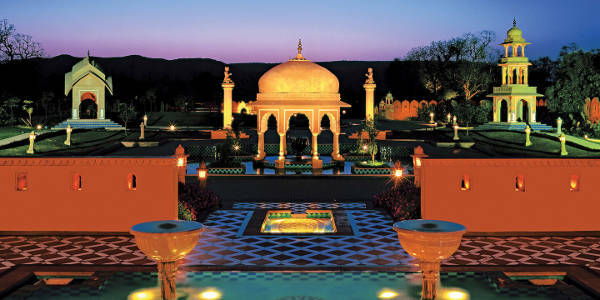 The golden thread canopies, traditional Indian block prints and royal tassels all accentuate the elegance of the hotel both through the rooms and the facilities. 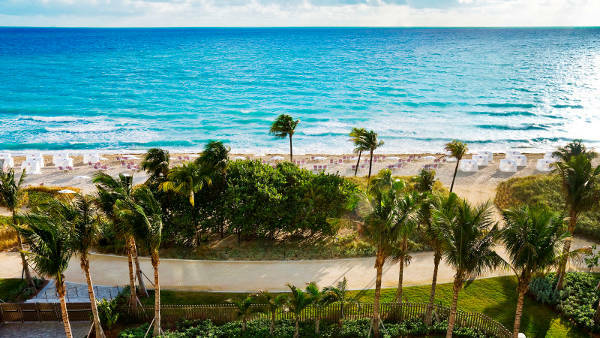 This 17-acre resort does not just offer close proximity to nature but also extends the adventure by allowing you to witness the humpbacks breaking through the waves in the winter. 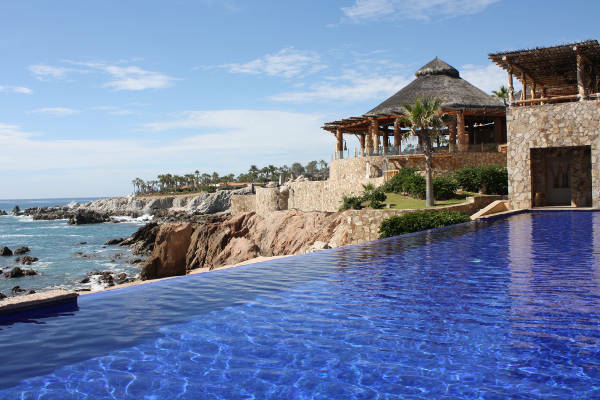 The rooms carry a pale surf and sand palette and the dramatic patio wall opens up to a beautiful veranda that is backed with a hot tub in most of the suites. 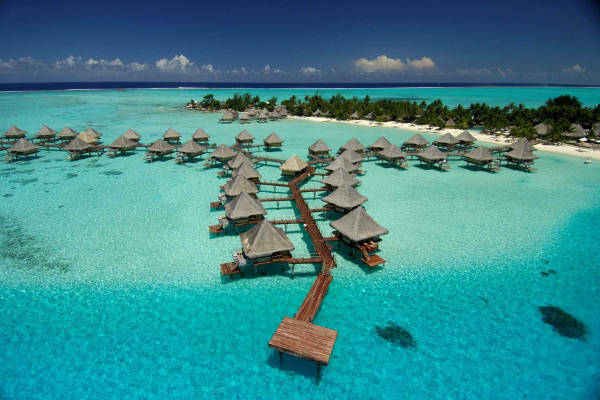 The 80 overwater villas on Motu Piti Aau reflect the best of its location. 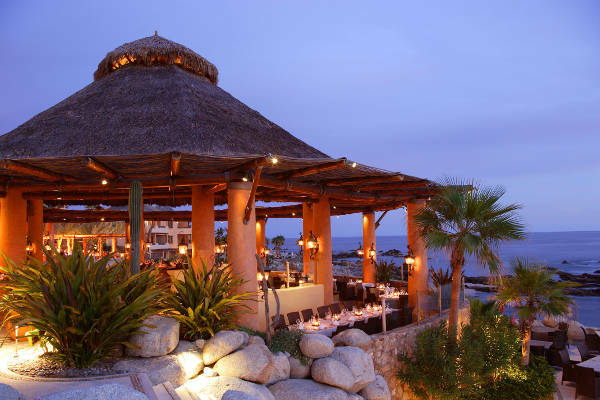 The thatched-roof huts, the ocean colour palettes with glass bottom tables let you see the sea creatures below. 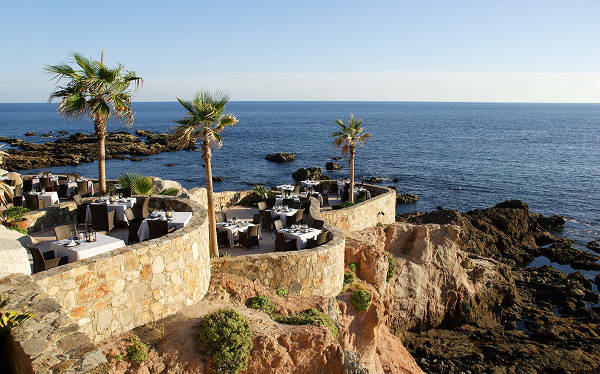 The spa with deep-sea water and glass-floored doors is definitely one activity not to miss when you visit the resort. This 227 room hotel carries a sleek design which complements with the lobby and the silver cloud sculpture hanging from the ceiling. The blue, grey and earthy tones lend a warm and classy value to space. 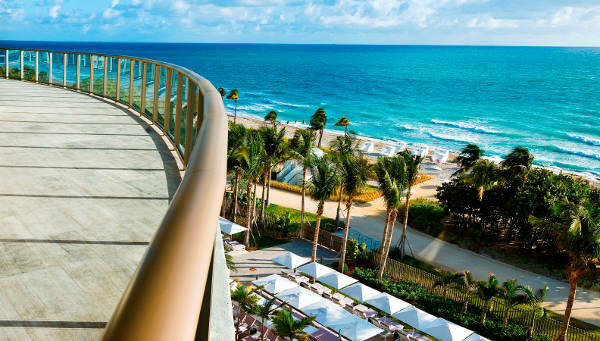 The floor-to-ceiling windows, glass-enclosed balconies and the high-quality service make the stay worthy of the price. 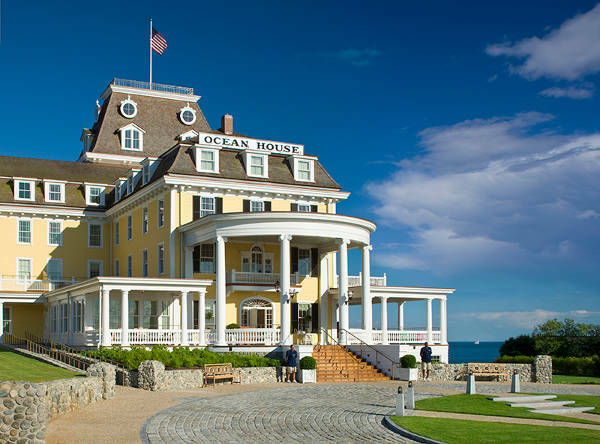 The yellow, bluff-top Ocean House first opened in 1866 but it closed in 2003 for the repair. 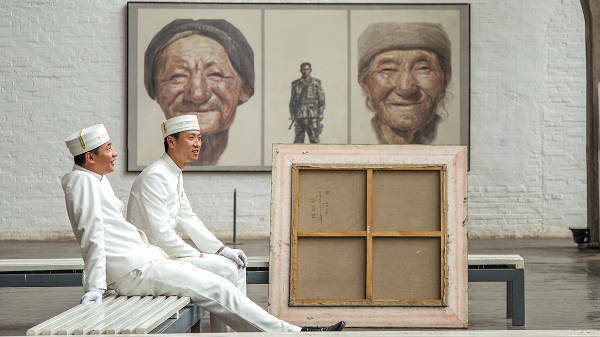 The 49-room, the 15-suite hotel reopened in 2010 by reusing thousands of the original artefacts and paying great attention to the detail. Enhanced with modern day comforts like flat-screen TVs and iPads, many rooms in the hotel also have a fireplace and a definite view of either the Atlantic or Little Narragansett Bay. It was built in 1965 in North Carolina, USA. The building that currently supports the hotel was formerly an office building. 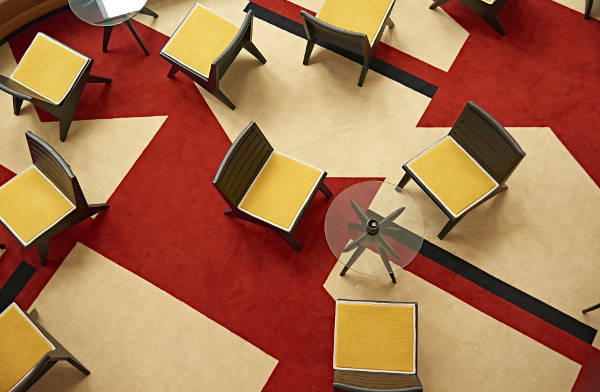 Retaining most of the original exterior, the interior of the hotel carries a funky, retro vibe. 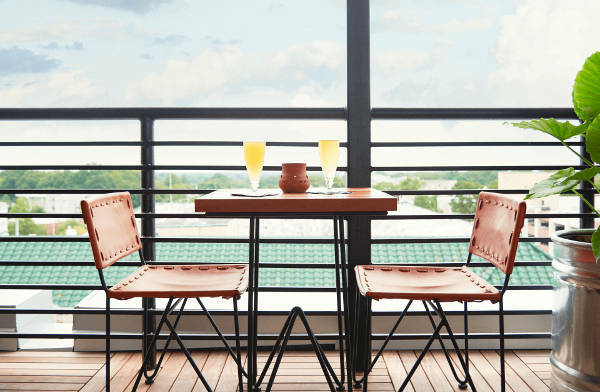 The eclectic, bold patterns with a lot of yellow and brown tones bring a mid-century modern vibe to the common spaces like the restaurant and the rooftop bar. 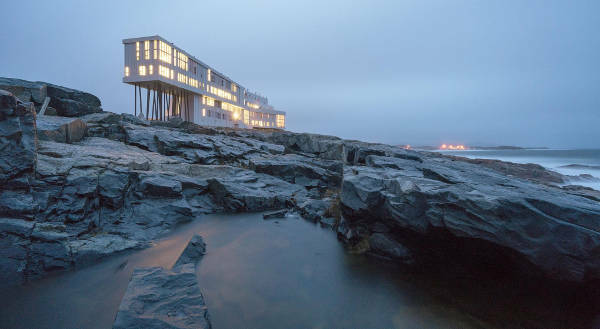 Situated on a small island on the eastern coast of Canada, the Atlantic hotel adds a contemporary edge to the old fashioned design. 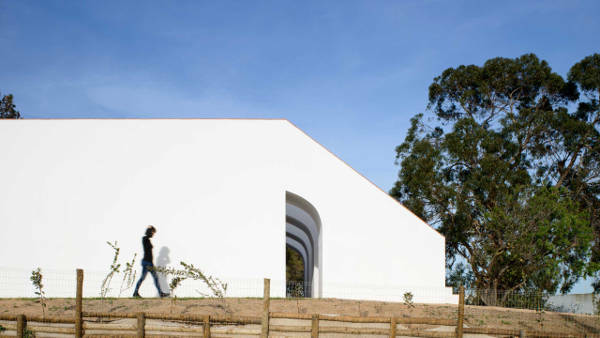 The usage of colour and wood bring a subtle contrast to the white walls. The independent art gallery ensures that the guests are thoroughly entertained despite the secluded location. 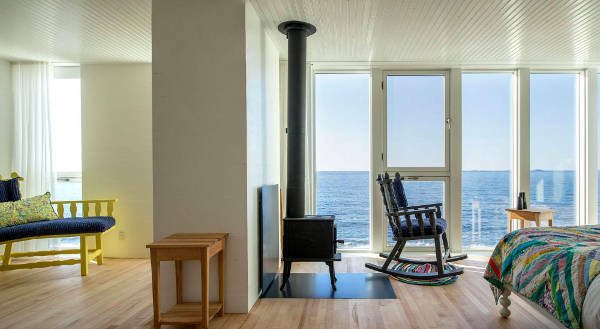 The interiors match well with the surrounding and actually pay homage to the fishing buildings that are traditional on Newfoundland’s coasts. 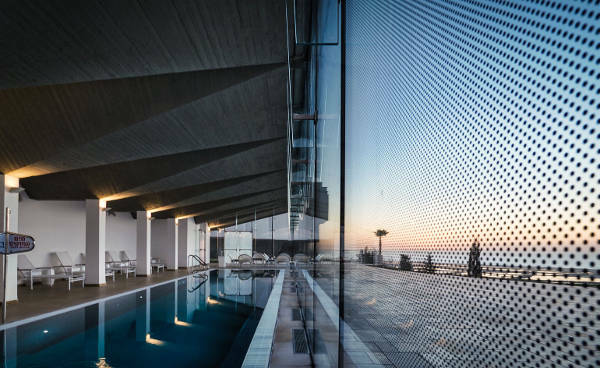 Designed by Portuguese studio PAr, this hotel in Algarve, justifies its name. 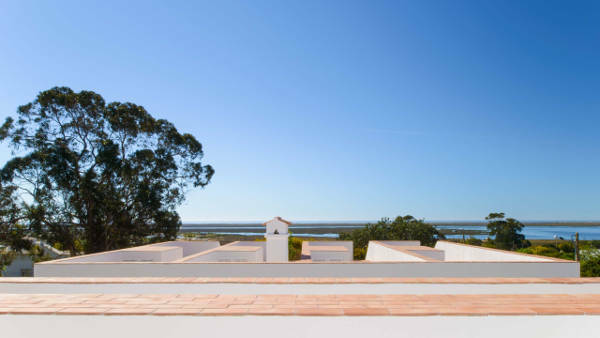 Minimal and simple, the biggest attraction of Casa Modesta is the rooftop vantage point. 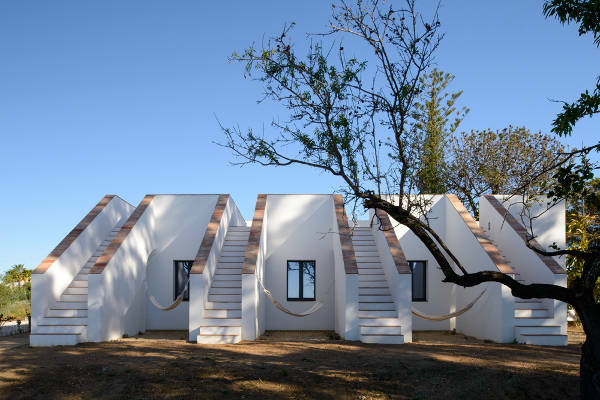 The staircases lead to the roof and give the guests a beautiful view of the surrounding along with giving the building an unconventional silhouette. 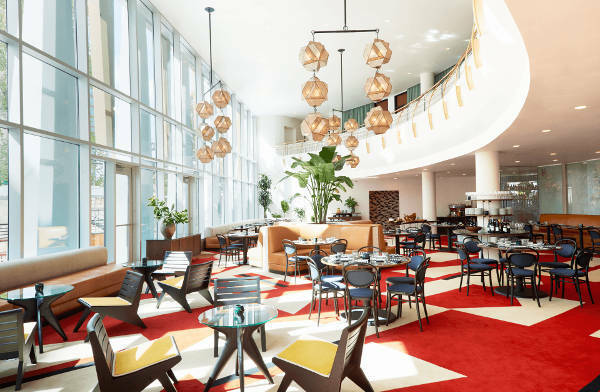 The privately owned Elma is the best fusion of art space and hotel. Other than eating, relaxing and enjoying the art, the hotel also offers a small and efficient spa that add the aesthetic value to the space. The rooms are fresh and modern, with white plaster walls and touches of walnut. 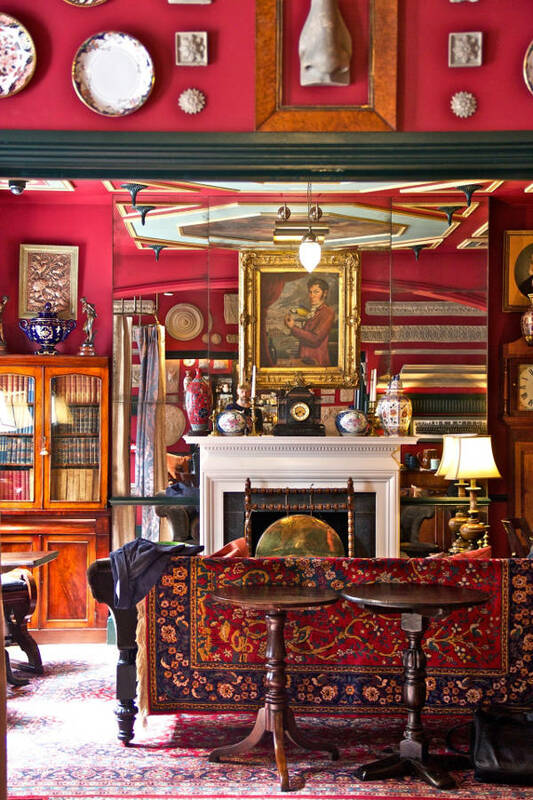 The Zetter Townhouse is a hotel located in Marylebone, London. 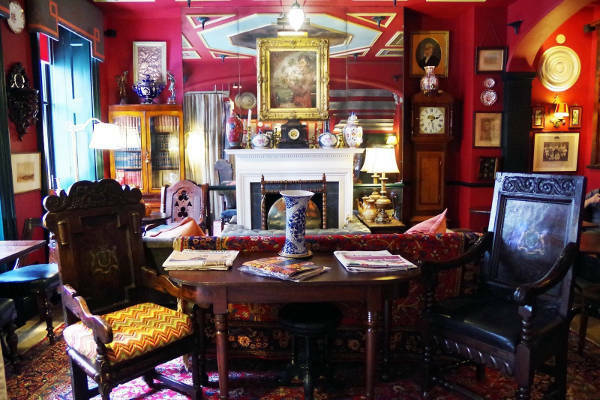 It features a total of 24-rooms that are overtly decorated with Victorian stuff, that quite resembles the inside of Stephen Fry’s mind. It is a sister hotel to the original Townhouse in Clerkenwell, East London, and is overseen by the same team. 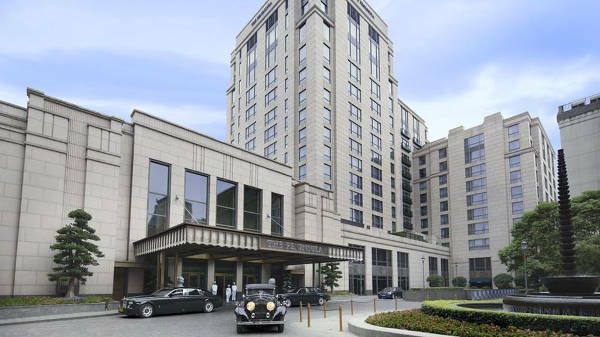 The decorative interior is definitely the biggest attraction of the hotel. 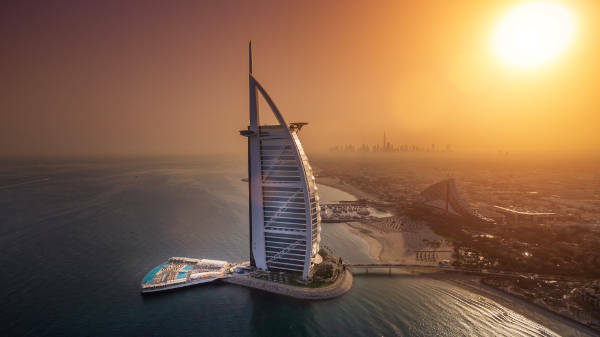 Just like the Empire State Building in New York, the Eiffel Tower in France, the Sydney Opera House in Australia, Burj Al Arab has become the reflection of the place it was built in. 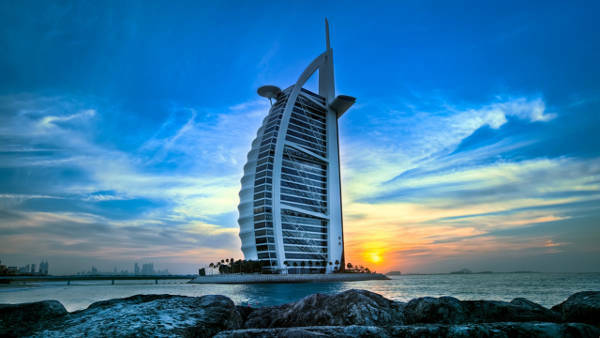 The luxury hotel opened in 1999 and has become a flourishing symbol of the region. 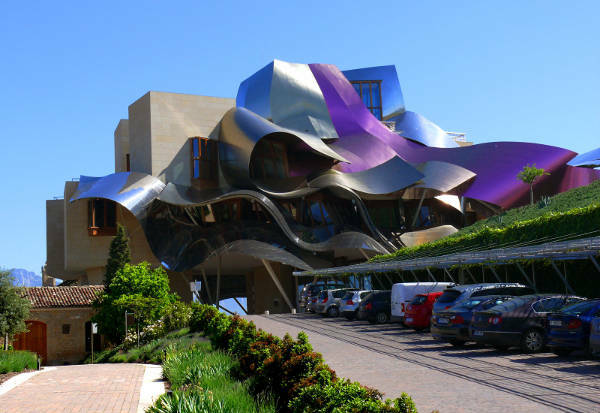 First, unveiled in 2006, The Marqués de Riscal Vineyard Hotel in Elciego, Spain has become a regional icon. 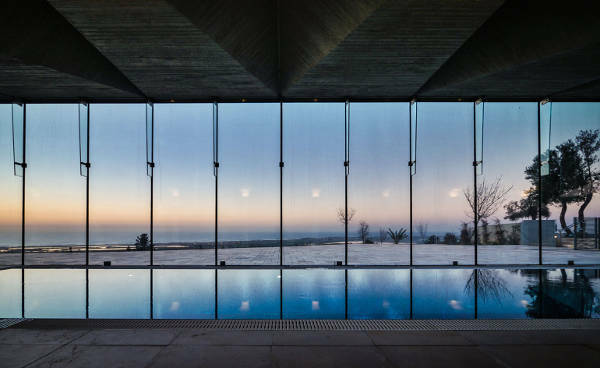 The hotel copies the surrounding countryside with tilting walls and cambered windows that correspond to the local and the ancient architecture. 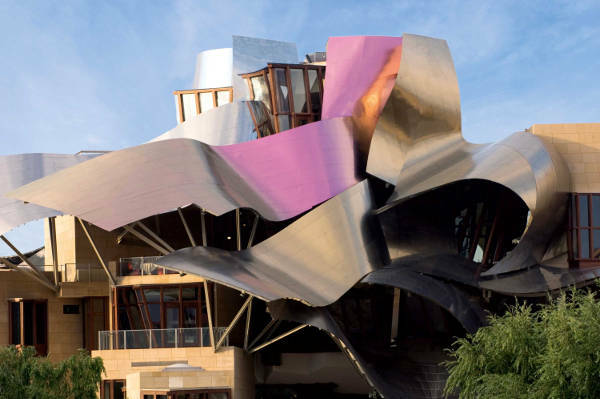 With the blend of food, wine, art and architecture, the hotel is definitely the best place for enjoying the country love. 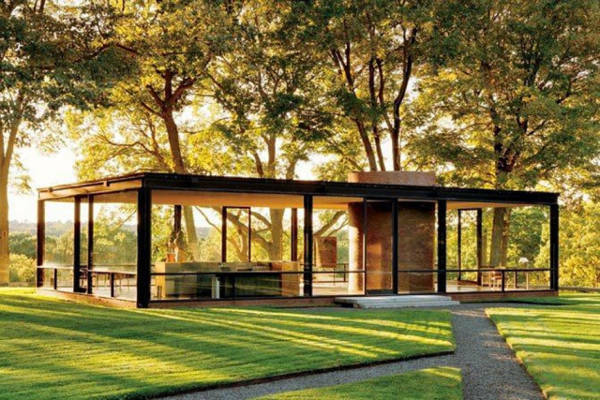 Though you can’t stay overnight in this Philip Johnson’s Glass House, but you can definitely rent it out for parties and events. 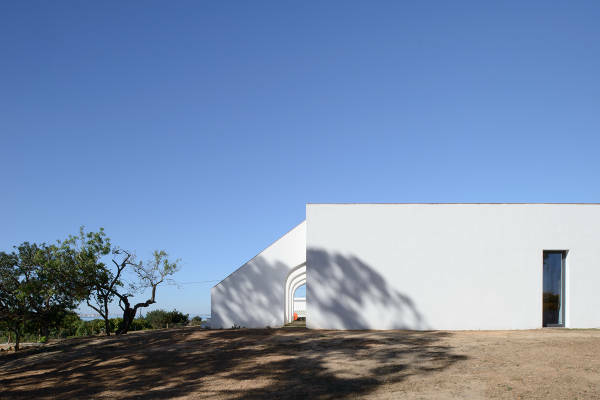 Reflecting the beauty of pure minimalism, the glass house served as Johnson’s residence until his death in 2005. 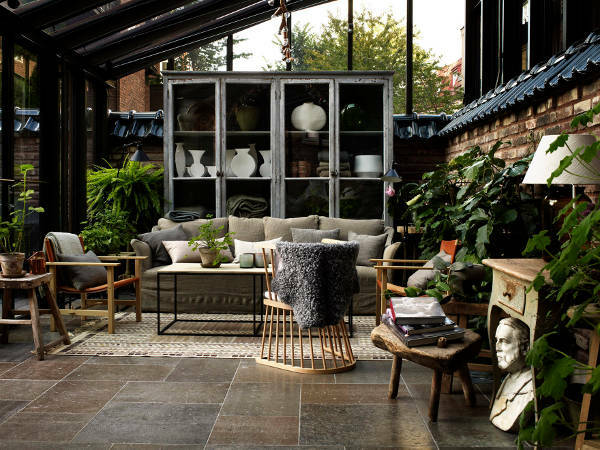 Along with offering impeccable service, the Ett Hem in Stockholm is equally down to earth. 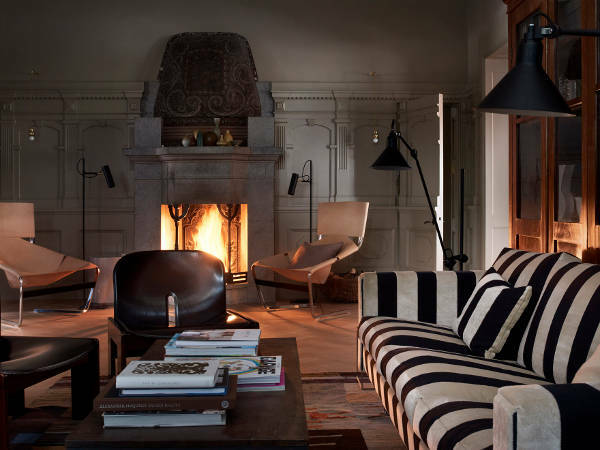 The 12 room hotel offers the guests the stylish Nordic cosiness along with the royal finish supported with candlelit and parquet-floored drawing room. 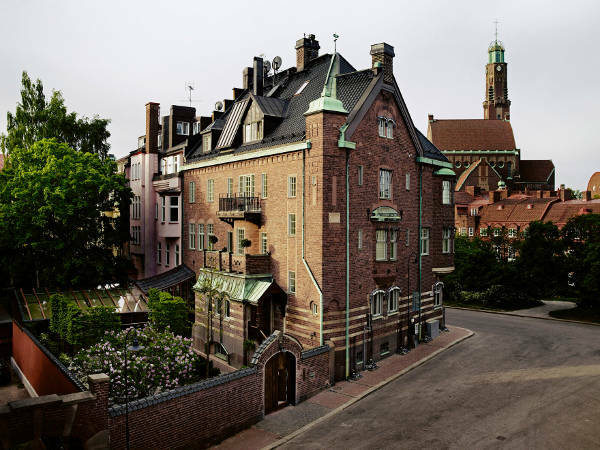 With exceptional food, the hotel also provides its guests with a terrace garden and Swedish Sauna. Each bedroom is decorated with a unique feature and an antique porcelain-tiled wood burner. 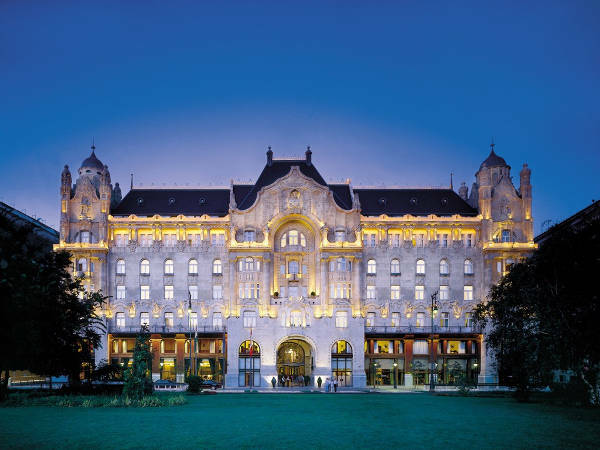 The magnificent building was originally the creation of the London-based Gresham Life Assurance Society and it also served as a meeting place for Budapest’s affluent and arty. The 2004 renovation brought the building back to its flourishing glory with the additional wow factor. 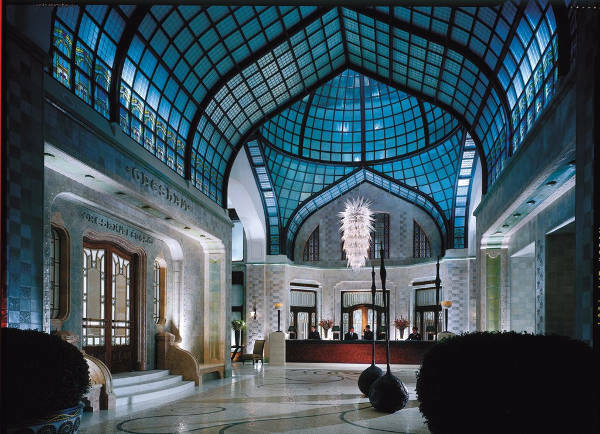 The stunning lobby of the hotel extends to the Kollázs Brasserie & Bar. 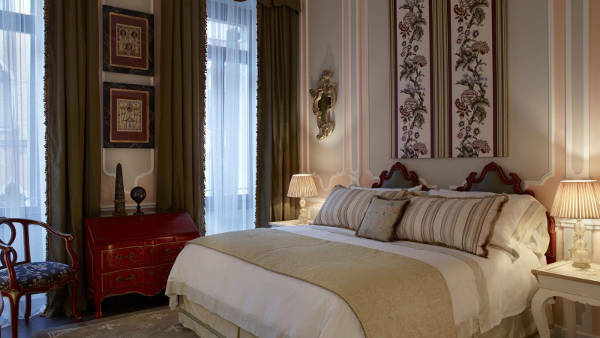 Opulent and stylish, The Gritti Palace contains 82 rooms and the antique decor is accentuated with fine and Rubelli silk fabrics. You can enjoy a waterside breakfast on the terrace overlooking the beautiful Grand Canal. 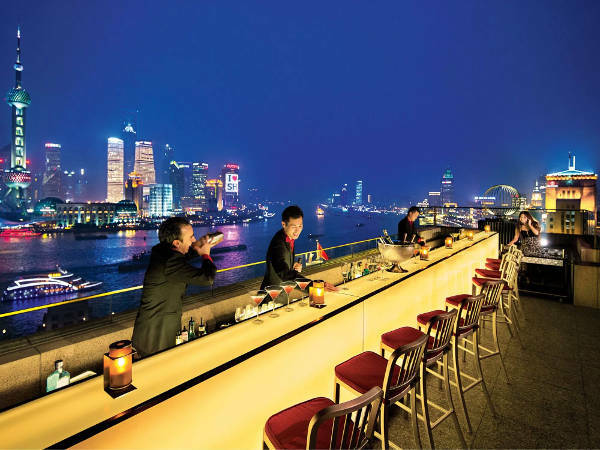 It is definitely one of the greatest Venetian experiences to enjoy in the city. The Peninsula experience starts right at the airport where a customised BMW takes you to this stunning modern take on art-deco design. With a beautiful mosaic floor, indoor pool, the rooms further pamper you with treat filled drawers. 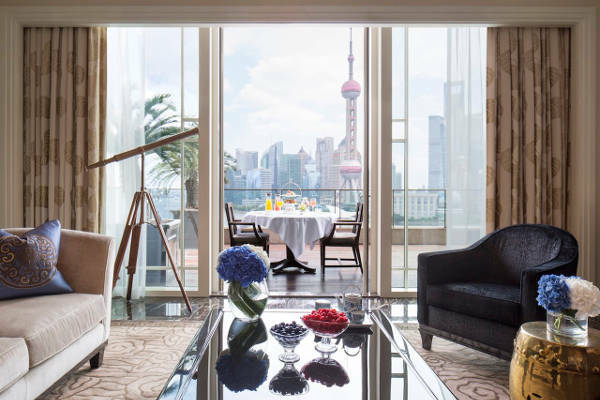 The river rooms offer a sensational view that stretch right from the busy Huangpu River to sleek towers designed by the world’s leading architects. If you are short on budget or time, give your eyes the much-needed relief with these beautiful and spectacular designs that will broaden your view of the traditional or conventional resting places.